Chavez opened the runway by placing her bet on cozy pieces. 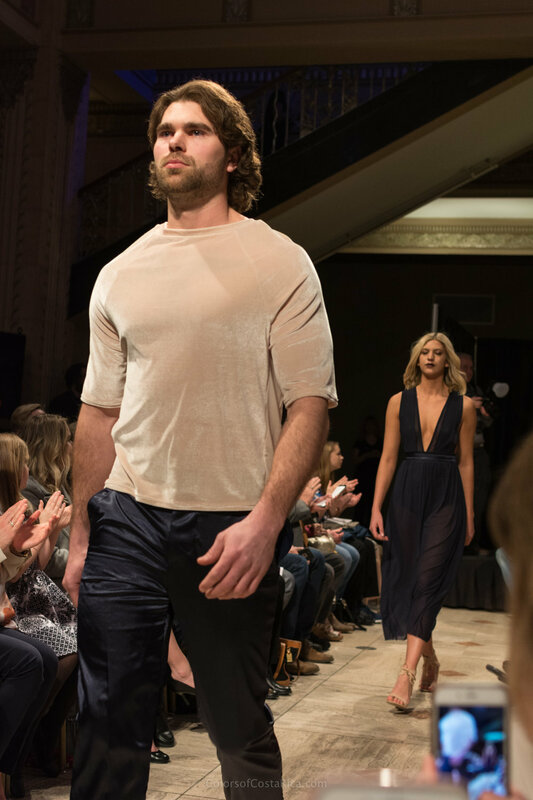 With turtlenecks, knits, button-down shirts and a tunic, the collection aims to keep men comfortable and elegant during fall and winter. The outfits could easily be used in a fashion editorial featuring men reading and drinking warm drinks in a luxurious studio. Should I convince Will to get an oversized chunky knit sweater? That would be a “borrowed from the boys” piece that I would love to wear. 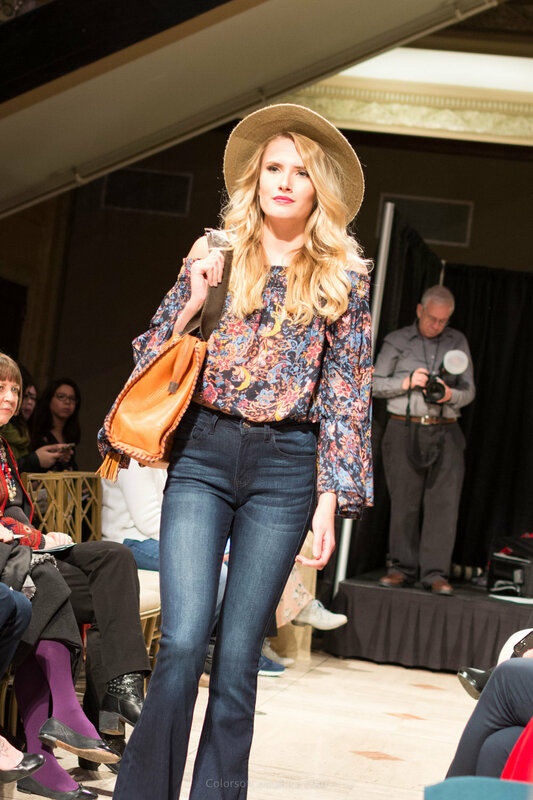 Fey is a fashion design and product development senior at Stephens College. Designer Fey Chavez poses next to her models. Looking for something to wear to a rock concert or a holiday party? Cierra Marie has you covered. Her outfits combine black and silver fabrics with exposed metallic zippers. Cierra’s collection was a tribute to her father and was inspired by strong female movie characters. Velvet, prints and diagonally-crossed vests were the stars of this collection. 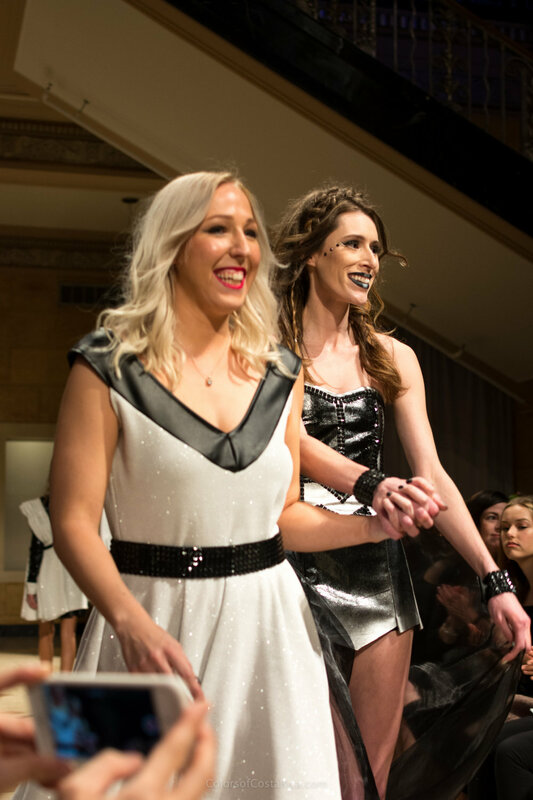 Missy IsaMoore, the designer, went for the elegance of white and black. To spice things up, she also added a winter favorite color, red. Elegant sleep-over outfits or classy loungewear to begin the day with, Slaven’s garments can be either. The silky fabrics in blue and beige created a sensual and relaxed atmosphere. The crossed shoulder sleeve detail on the long beige dress was simple and brilliant at the same time. A new type of snow queen is what comes to mind with Candace’s collection. The pearl-embellished tops resembled snowflakes and the white and metallic tones had Christmas season written all around. Emily’s collection had a predominant floral theme. Through a variety of colors and silhouettes, the designer managed to incorporate her inspiration into evening-wear pieces. The bloomy trend was also taken into account for the model’s hairstyles, as each one wore a flower crown or hair-pin that matched the outfit. 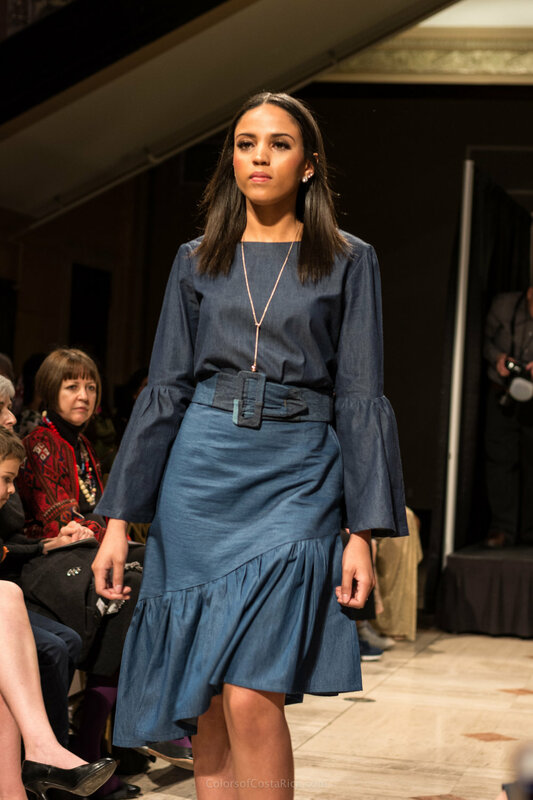 Denim with denim has been on both sides of the “in” and “out” style columns of fashion magazines. Designer and US Army Veteran, Charissa Myers, showed her appreciation for the classic textile. 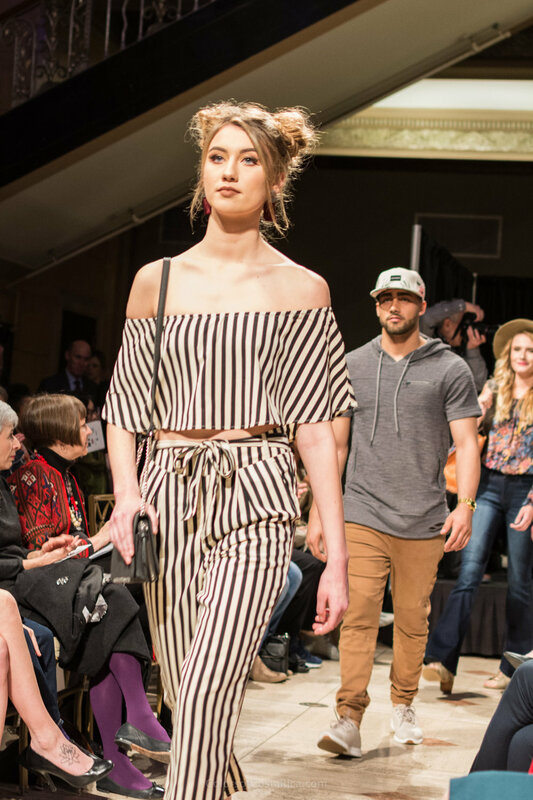 With her two-piece ensembles, Myers aims to show women that it is possible to dress in a conservative manner without sacrificing flattering styles.